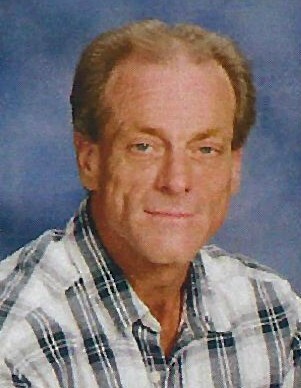 Darin L. Winkle, age 54, of Escanaba, passed away of natural causes at his residence on Monday, March 25, 2019. He was born on February 24, 1965. At a younger age, Darin lived in Manistique, MI and later moved to Escanaba in 2011. He worked in a variety of jobs including Lakestate Industries, Getz Dairy Farm, Cycle City, and the First United Methodist Church. He attended the Midwest Truck Driving School in 2018 and most recently was employed as a driver for Windy Hill Foliage, based in Wisconsin. Even when work took him out of the area, he maintained his connections to Escanaba and the friendships he had established here. Darin was a volunteer at the Delta Animal Shelter for a time and he especially loved dogs. He also enjoyed working with tools, cooking, cars, Detroit sports teams, helping with church activities, and outdoor projects. Visitation will be held from 3:00 p.m. to 4:00 p.m., Tuesday, April 2, 2019 at the First United Methodist Church, 302 South 6th St, Escanaba. A service of remembrance will follow at ­­­­4:00 p.m., Tuesday, with Rev. Ryan Low Edwardson officiating. Refreshments will be served at the conclusion of the services in the church fellowship hall. Burial will take place in Lakeview Cemetery. In lieu of flowers, memorial gifts can be directed to First United Methodist Church, the Delta Animal Shelter, or “Dawgs Adapt”, which is the inmate dog training program at Alger Correctional Facility.